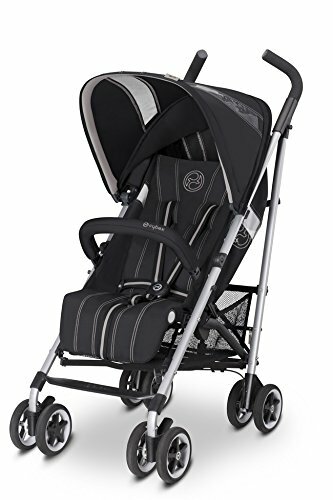 ONYX BUGGY Urban. Sporty. Fun: The Onyx is a true city buggy which meets all demands of urban families: fun to use, thought through functionality as well as great comfort. *Central one-pull harness system (patent pending) *Travel system with CYBEX infant car seats *XXL canopy with UVP50+ *4-position one-hand recline. Equipped with an XXL canopy and a one-hand recline system, this lightweight runabout can also be used as a travel system in combination with one of our award winning infant car seats. TRAVEL SYSTEM in combination with CYBEX infant car seats: With the help of a simple adapter this buggy can be turned into a practical and space saving travel system. The combination with the award winning group 0+ CYBEX infant car seats makes for an especially safe and comfortable travel system. XXL CANOPY Extra large sun protection: The extra large canopy is individually adjustable and extendable. It is growing with the child and thus offers above-average UV protection and meets the strict Australian UVP50+ sun protection standard. CENTRAL ONE-PULL HARNESS SYSTEM One-hand adjustment: The central one-pull harness system is adjusted with only one hand to optimally fit the child. The simple push of a button releases the belt again.